"The first person to make a 'Where's the Captain?' joke is fired," chortles Sony Music Nashville boss Randy Goodman as he and his team hail the inking of singer/songwriter Tenille Townes during the ACMs. 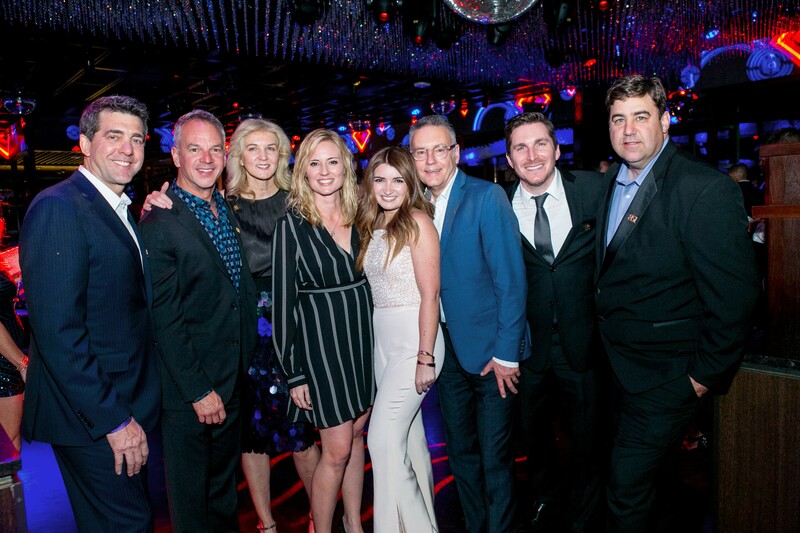 Seen wishing they hadn't quoted us in the press release are (l-r) EVP/COO Ken Robold, EVP Promo/Artist Development Steve Hodges, Shopkeeper Management's Marion Kraft and Crystal Dishmon, Townes, Goodman, EVP Marketing/New Business John Zarling and SVP A&R Jim Catino. A HIT AND A "MISS"